Located in the fast-growing Steele Creek area of Charlotte, Crescent’s master-planned community of Chapel Cove is ideally located to take in the beautiful scenery along Lake Wylie’s shores and keep you connected to city life! 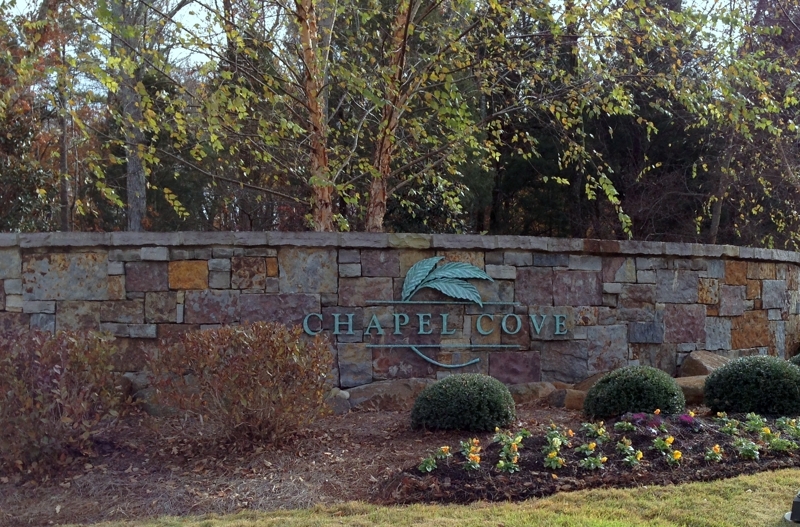 The lakeside community of Chapel Cove is located on a northern cove of Lake Wylie near the Catawba River. It is located off Shopton Road West between Thomas McAlister Winget Park and the North Carolina State Wildlife Landing near The Sanctuary. Westinghouse Boulevard and Steele Creek Road is just a short drive north on Shopton Road West. I-485 access is convenient at Steele Creek Road near Charlotte Premium Outlets, a fantastic place to pass an afternoon shopping! A trip to Charlotte Douglas airport will take about 20 minutes, and Uptown Charlotte is approximately 25 minutes without traffic. Access to Lake Wylie is conveniently located to the south at Copperhead Island boat launch. If motorized watercraft do not interest you then Chapel Cove has a private canoe and kayak launch so residents can enjoy some of the lake’s 325 miles of shoreline and nature. 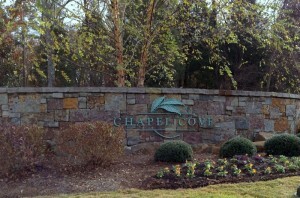 In addition, Chapel Cove has a pool and splash pool, gym, walking trails and tennis, basketball and pickleball courts. Chapel Cove’s builders are CalAtlantic (formerly Standard Pacific), Pulte Homes and Taylor Morrison Homes. Homes range in size from 2,500 square feet to nearly 5,000 square feet. New construction prices start in the $200,000s and $300,000s depending on builder and home style. There are only 2 resale homes on the market in Chapel Cove as of April 17. One of the homes is a 4,700-square-foot home built in the first phase of Chapel Cove in 2008 and is listed at nearly $600,000. The other home is about 3,500 square feet and is on an acre lot. It was built in 2012. The remaining 14 homes listed for sale in Chapel Cove are new construction. None of Chapel Cove’s lots is waterfront. Only 1 resale home has sold in Chapel Cove during the last 12-month period. The home, built by CalAtlantic in 2012, is 3,700 square feet and sold for $480,000 and 97% of list price. The neighborhood is zoned for Winget Park Elementary, Southwest Middle School and Olympic Community of Schools. There are also several area magnet and private schools. Chapel Cove provides the best of both worlds for those wanting to be near nature and find peace and quiet and also have access to a large metropolitan area nearby.